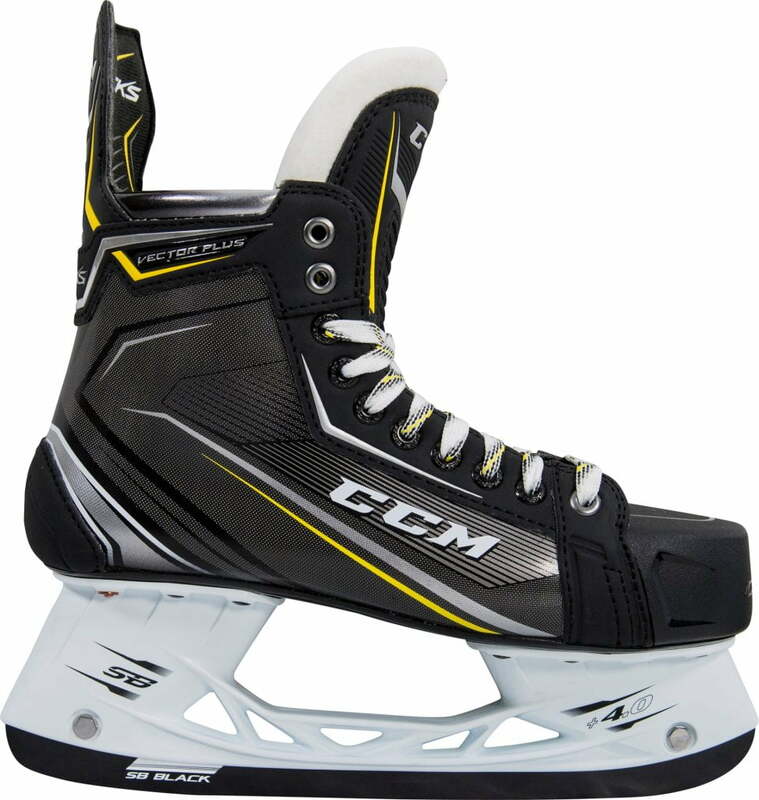 CCM Tacks Vector Plus Senior Hockey Skates (2018) | Sports Etc. By combining features of the Tacks 9070 and 9080 skates, the Tacks Vector Plus skates were created to offer better value. These skates add comfort and performance with a Pro Felt Tongue (taken from the high-end AS1 skate), brass eyelets (AS1) and SB Black Oxide Steel (AS1). Available only at Exclusive Source For Sports Dealers. Sports Etc Performance To Value Rating– 10 out of 10- A great choice for someone playing at a competitive level, looking for a high performance boot at an affordable price.